Has Earthborn Holistic Ever Been Recalled? Earthborn Holistic has never been recalled. Midwestern Pet Foods is the company that owns Earthborn Holistic. This family-owned business was founded in 1926. None of the brands owned by Midwestern Pet Foods have ever had a recall. Where Is Earthborn Holistic Pet Food Made? Midwestern Pet Foods operates multiple pet food manufacturing facilities located throughout the United States. The three facilities mentioned on their website are located in Illinois, Oklahoma, and New York. Earthborn Holistic dry pet foods are manufactured in the aforementioned manufacturing facilities. All canned dog food and cat food products are manufactured by USPet Nutrition, a division of Chicken of the Sea. According to a statement provided in 2012, the facilities which produce Earthborn Holistic dry pet food do not produce pet food for any other company. Although we could not find any evidence to the contrary, we also could not find any official text on the Earthborn Holistic website which confirms the manufacturing exclusivity statement. Thus, the original statement in 2012 may not longer be valid. Furthermore, our research suggests that Earthborn Holistic sources the majority of their pet food ingredients from the United States, Canada, New Zealand, and Australia. Some ingredients, such as sub-parts of vitamin premixes which are not readily available in the United States are sourced from other countries. Earthborn Holistic made the following public statement in 2012 regarding the sourcing of vitamins. Our vitamin premixes are formulated, sourced and blended in the United States by a US company in a human grade facility. Certain subparts of the vitamin premixes are only available overseas. Our US supplier assures us that they make every effort to source from reputable non-Chinese vendors. All these ingredients are thoroughly tested and undergo many quality checks to insure safety and that specifications are met. But even with these checks in place, it is difficult if not impossible to say that some subpart of some vitamin ingredient may originate in China. We feel that it is unethical to claim, like some manufacturers do, that even though our vitamins and minerals are formulated, sourced and blended by a US company in the United States that there could not be a trace or subpart of a vitamin that comes from China. Is Earthborn Holistic Pet Food Safe? We know that neither Earthborn Holistic nor any brand owned by Midwestern Pet Foods has ever had a recall. This record is truly impressive when you consider the age of Midwestern Pet Foods. 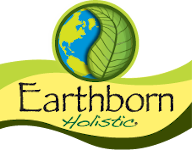 In appears that Earthborn Holistic does place a high value on product quality and safety. In most of their statements, they continually emphasis their rigorous testing procedures and always mention that they've never had to recall any pet food products. In essence, it appears that safety is one of the main selling points for Earthborn Holistic dog and cat food. Our analysis of the ingredients used in Earthborn Holistic also does not raise any concerns. Therefore, we have no reason whatsoever to question the safety of Earthborn Holistic pet food.